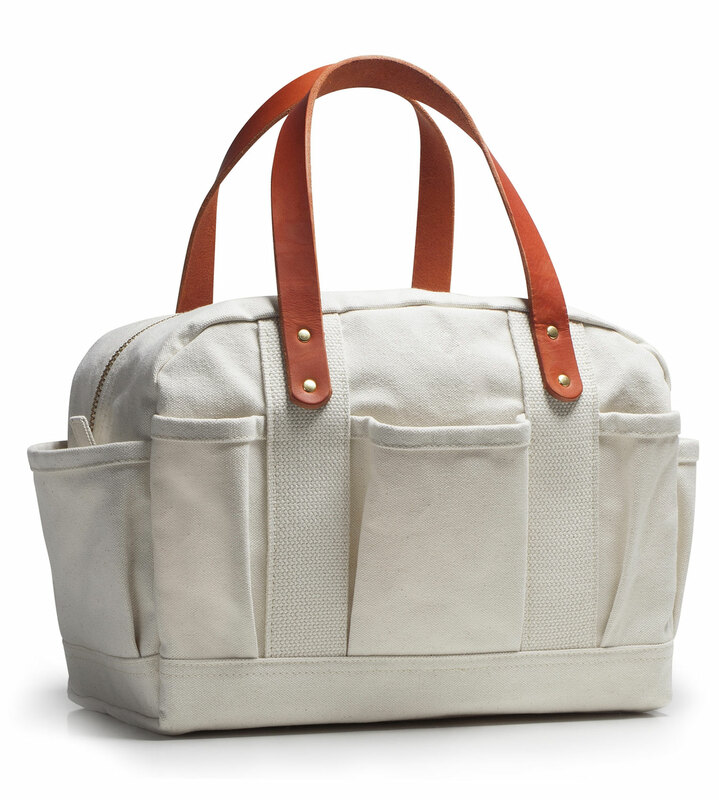 Our CanvasWare Mechanic’s Bag in natural canvas is designed and built like the tool kits often found on early vehicles when some mechanical ability was essential to keep your auto running. This vintage bag features a large brass zipper opening into the main compartment with 2-way pulls. Eight gusseted side pockets are ready for a variety of small utensils, tools, or kits. Brass rivets secure London tan bridle leather handles on reinforced cotton webbing. All seams are taped and double stitched for long-wearing service. The bottom is constructed of two layers of 18oz. cotton duck. 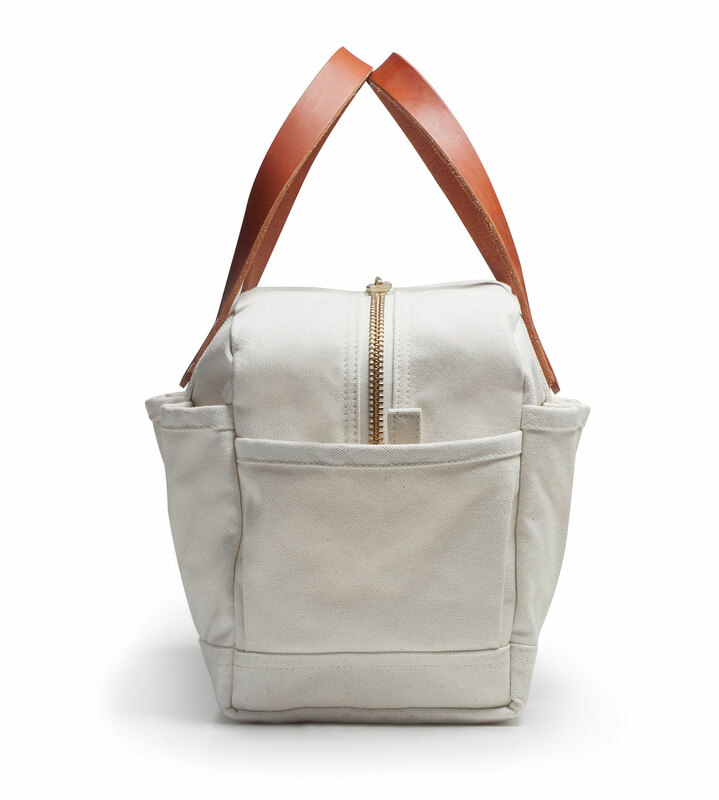 The design, materials and craftsmanship in this bag will survive a lifetime of rugged use. 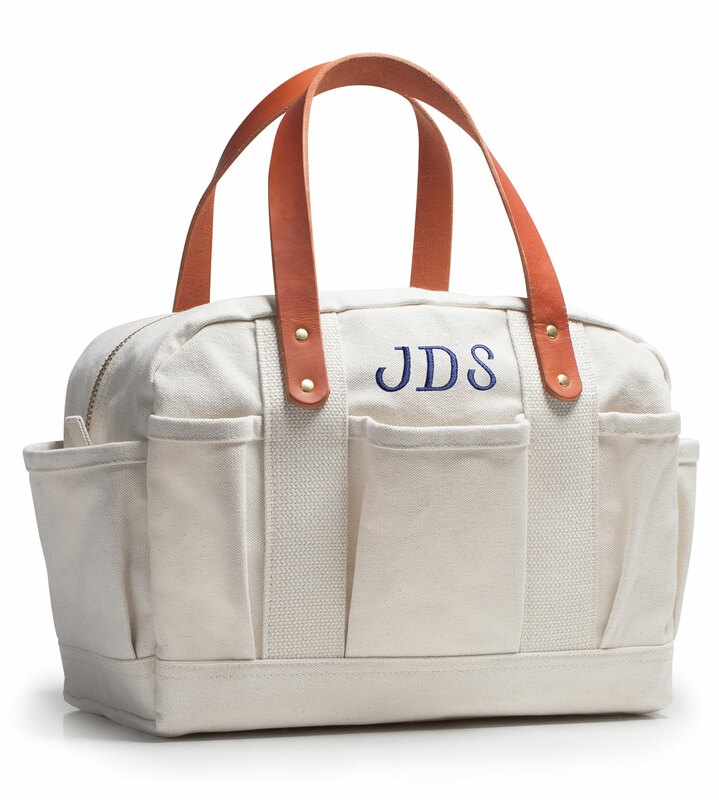 Tough enough for commercial use, this attractive bag suits a variety of other uses such as game bag, yacht bag, crafts organizer, trainer’s kit, specialty tool kit or even a handsome car trunk organizer. 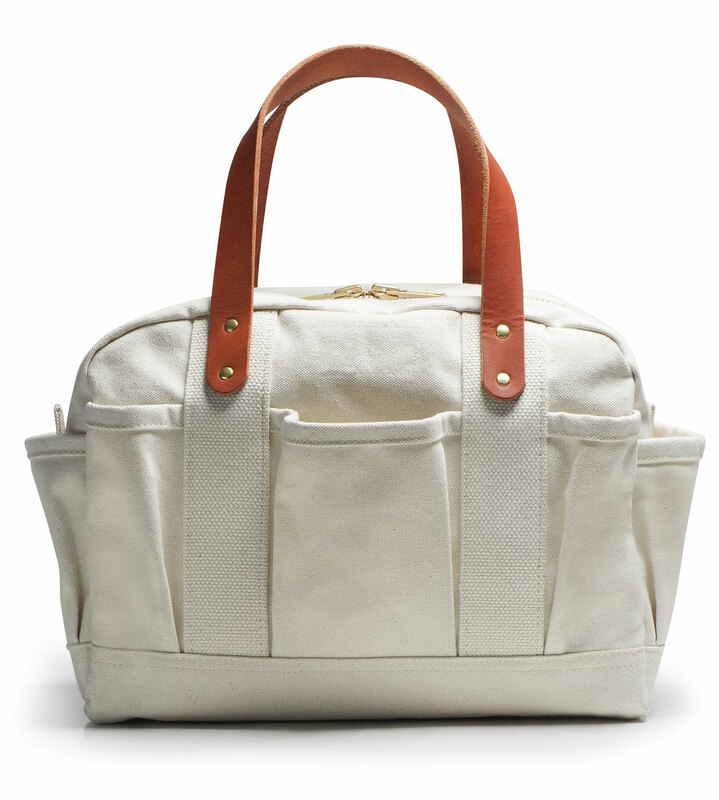 This same classic design is also available in dyed and waxed canvas.